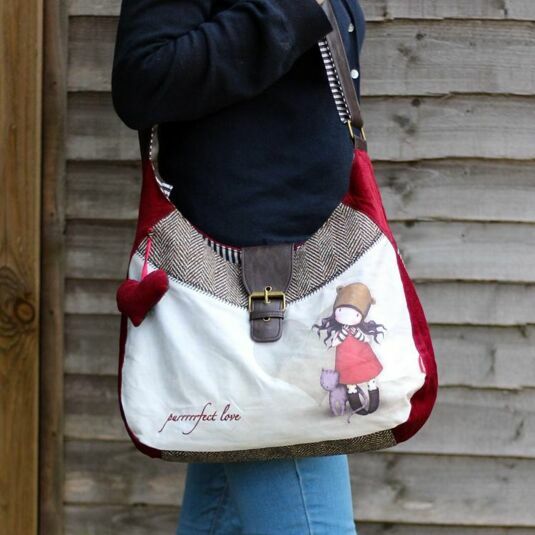 Haul all your Gorjuss things around in one of these casual slouch bags. 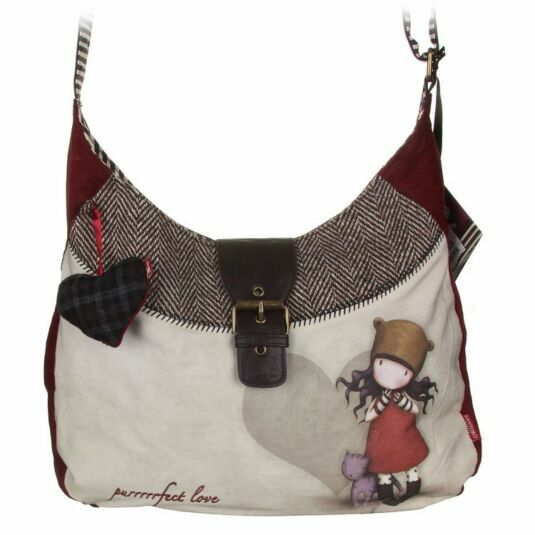 This particular bag features the Purrrfect Love design, and has one long adjustable strap. 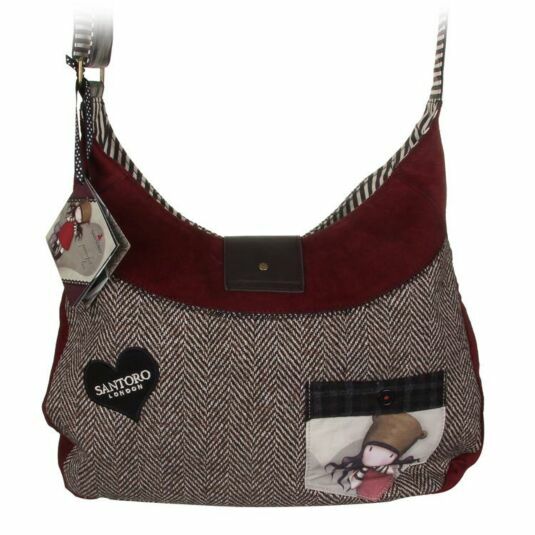 This bag has 3 inner pockets; one small pocket for your phone, a slightly larger pocket, and an even larger zipped pocket for any extra valuables you’d rather keep out of sight. 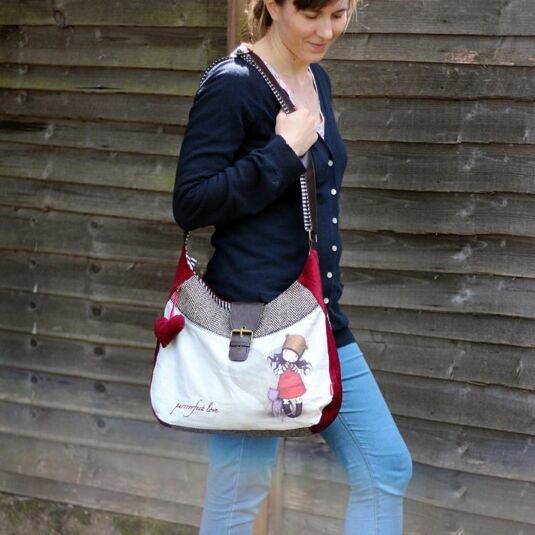 It also has one little external pocket on the back of the bag. 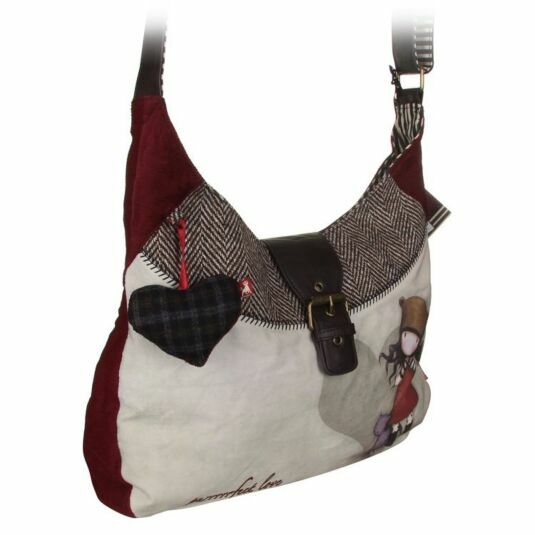 The overall design is created with mixed fabrics, including a cotton herringbone pattern, faux leather and cotton corduroy. It closes with a zip, and features an elastic key-keeper on the inside of the bag – clipping your keys to one of these is much less hassle than having to root around in the bottom of your bag for ten minutes. 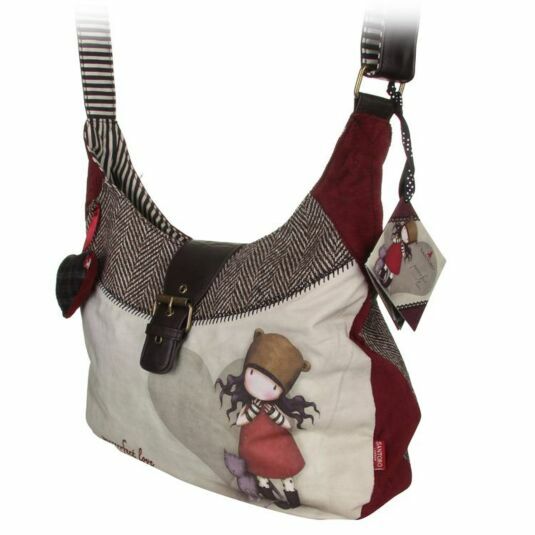 Each Gorjuss bag is hand-finished, so no two bags are identical.